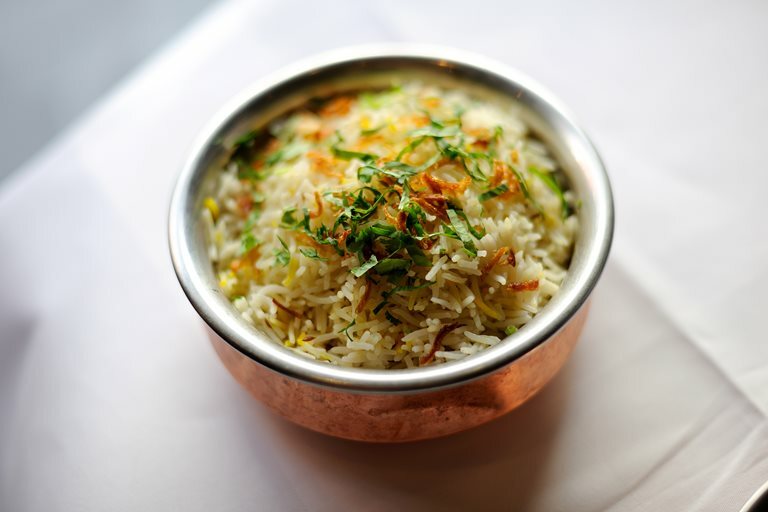 This zafrani pulao recipe fuses braised basmati rice with cumin, whole spices and saffron for a simple yet flavoursome dish. Alfred Prasad's recipe makes a delicious accompaniment to any Indian curry; try it with our chicken tikka recipe or with monkfish curry. The tasty rice would also be fantastic paired with a seafood course. Alfred Prasad’s years at Tamarind saw the restaurant awarded one Michelin star, which it retained, and a stack of accolades (including numerous ‘Indian Restaurant Of The Year’ titles).